We often don’t understand what’s going on in the heads of our teenagers. In my case, this happened with one of my boys. He was such a good, compliant child that when he hit the teenage years I really didn’t know that he was having a lot of self-doubt. He based it on things that had happened to him that he perceived incorrectly. Even if you think your child is fine, be alert during these years and have regular conversations so the following lies don’t take root. 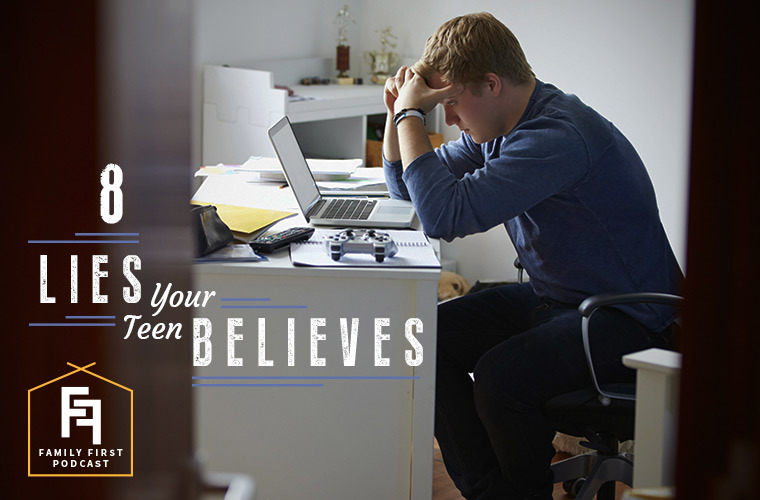 Here are the 8 Lies Your Teen Believes. This is something you often hear because they’re maturing and they don’t want to be treated as a child. Part of handling this lie is listening, not always correcting or offering a solution, but empathy. Let them spout off. Let them see that you get it. Being popular will make me happy. 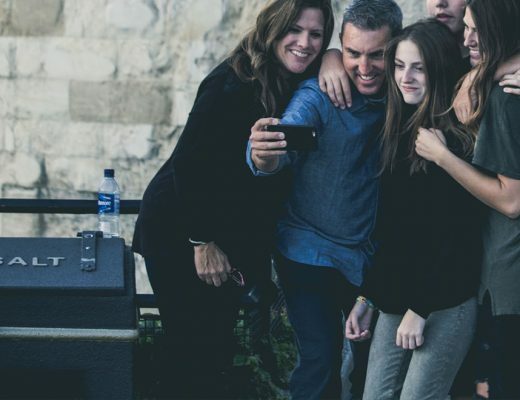 You actually might not want your child to be popular, but they do need to feel a part of a group and have friends. Help them see that they want to choose friends who make good choices and are kind to others. If I don’t ace this test, I’ll never get into college. There is a lot of pressure to get into THE right college, and parents can put that pressure on them too. But one study I read found that the top students at some of the smaller universities did better in life than the mediocre students at the best colleges. If you rise to the top in a smaller environment, it gives you the confidence to achieve. Sometimes going to the most competitive schools isn’t in the best interest of the child. No one else is struggling like I am. This is really just immaturity. Life experience brings wisdom so that eventually they will understand that everyone struggles. But with social media today making it look like everyone is having fun, excelling at sports, making great grades, we need to make sure our children understand the reality of what others are experiencing too. Dating someone will make me happy. This lie breaks my heart. It is believed by both boys and girls. I’ve seen it most often, though, with girls. A girl will start dating someone and get so much attention and get her emotional needs met that when it ends and she feels empty and devoid, she jumps right into another relationship. With each new boyfriend, she is desperate and chooses less wisely. Encourage your daughters and sons that they can be happy on their own. If I’m not perfect, I’m a failure. We saw this in one of our sons. He was an excellent athlete and an awesome three-point shooter in basketball. All of sudden as he got older and went into more competitive ball with more people watching, he froze up and stopped shooting. He became fearful that if he missed he would be a failure. We told him that everybody misses. Nobody is perfect. My parents don’t want me to have any fun. There’s that balance between protecting our teens and inhibiting them. Help them understand that you are not out to keep them from fun, but you are looking at their choices — are they wise? Then you pray a lot. You don’t want to keep them from doing things solely out of fear. 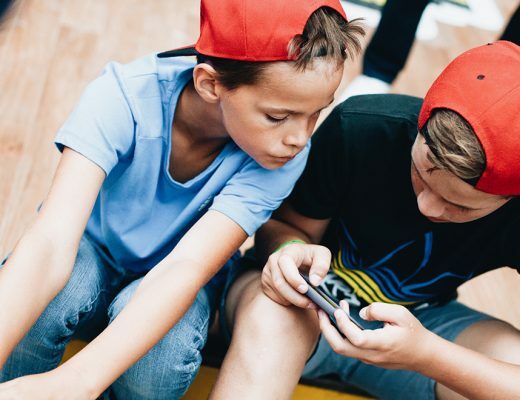 If there aren’t many safe, fun outlets for them, you need to develop your way of having fun with them, so they have an outlet to do things that are safe and right. I had a child who had lost hope. High school can be hard, middle school can be hard. If you see your child believing this lie, you need to pull out all the stops. Figure out why they are getting so down. What’s hurting their self-esteem? Create diversions with a hobby, church groups, family. Don’t just let it go on. Give your child hope. Take them early to visit a college to give them a vision. Introduce them to a person you know that has already moved through their struggles. Talk to your teen as much as you can, but listen more than you talk, so that you can be aware of the lies they believe. Listen to Mark and me in the full podcast here.